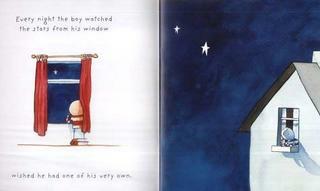 Oliver Jeffers es de mis artistas favoritos, su libro "How to catch a star" es de lo mas lindo e inspirador. Su manipulacion de la acuarela es extraordinaria y todo en su obra es digno de admiracion; sus historias, sus personajes, sus colores, que maravilla!!! No puedo esperar para leer su nuevo libro que esta por salir "Lost and Found". Pueden ver una ilustracion del mismo en su muy original sitio. Solo piquenle a la ilustracion, veran que se van a sorprender! 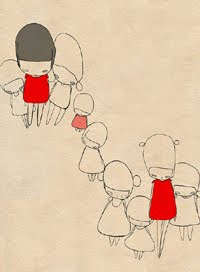 Oliver Jeffers is one of my favourite artists, his book "How to catch a star" is so cute and inspiring. His use of watercolors is extraordinary and everything in his work is great; his stories, his characters, his colors... is just marvellous!!! I cannot wait to see his new book "Lost and Found". You can see an illustration from it in his very original site. Just click the illustration, you'll be surprised!